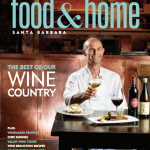 Editor’s Note: The abbreviation, Sta., for Santa reflects industry use to differentiate the name of the appellation in the Santa Rita Hills area of Santa Barbara County from Vina Santa Rita, the older internationally trademarked name of a winery in Chile. 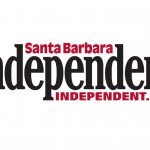 In the first week of July, three weeks after completion of fruit set, the wine grapes in Ryan Carr’s Santa Barbara County vineyards had started to swell. That’s when he also began counting clusters to determine how much fruit to start dropping this month. Although his blocks of Chardonnay, Pinot Gris and Pinot Noir are strong and healthy, production prospects appear to be down somewhat from last year’s harvest totals. Carr is expecting a good, average-size crop from his Cabernet Sauvignon as well as his Cabernet Franc. Sometimes, he notes, shatter can be a problem with Cabernet Franc since it flowers a little later than the others, when the winds can disrupt fertilization success. Not this year. 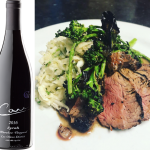 Carr, the owner, grower and winemaker for Carr Vineyards & Winery, Santa Barbara, Calif, draws on 18 years of experience in the wine industry. 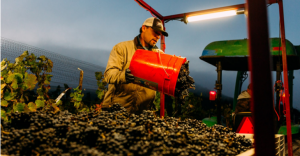 He also owns and operates a full-service vineyard management company, Carr Vineyards, Inc. Carr and his crews manage more than 100 acres of wine grapes in eight vineyards in the Sta. 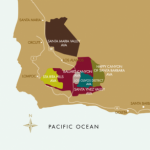 Rita Hills and Santa Ynez Valley appellations and other areas of Santa Barbara County. The varieties include Cabernet Franc, Chardonnay, Grenache, Pinot Gris, Pinot Noir and Syrah. 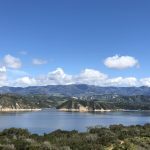 Like many other California growers this year, his vines have made good use of the abundant rainfall this past winter following the drought. That precipitation included rain events lasting several days in a row. The robust growth of vegetation also reflects the wet winter conditions, which flushed out many of the salts that had been accumulating in the root zones during the drought. However, another winter of ample rainfall will likely be required to reduce soil salinity readings, still a little on the high side, to more normal levels, Carr says. Prior to the expected start of veraison at the end of July, his crews will be doing some final training of vines, thinning shoots and pulling leaves to open up the canopies for more sunlight and air penetration, and dropping fruit to concentrate flavors and promote even ripening by lowering yields. One of the major concerns of Carr and his fellow growers in the Sta. Rita Hills is confirmation earlier this year of Pierce’s disease in some vineyards. Young vines are more susceptible to the bacterial disease than mature vines. Depending on date of infection, temperatures the following winter and grape variety, some infected vines can recover. In others, shoot growth becomes progressively weaker as symptoms become more pronounced until, eventually, the vine dies. The disease-causing bacterium, Xyella fastidiosa, which lives in the water-conducting system (the xylem) of host plants, is spread from plant to plant by sap-feeding insects that feed on xylem fluid. These vectors include the blue-green sharpshooter, the most important vector in coastal areas, as well as the green sharpshooter and the red-headed sharpshooter. Because Pierce’s Disease hadn’t been seen in this area before, growers were attributing unusual symptoms they were seeing in their vineyards to such causes as J-rooting or Eutypa dieback, Carr notes. The other major, widely-shared concern among growers in his area is the steadily shrinking supply of workers to harvest the grapes. Carr attributes that to the demand for labor to harvest other local crops, and workers going back home to Mexico and not returning to the vineyards. As a result, Carr, like other growers, continues efforts to increase efficiency in his vineyard operation. Meanwhile, he’s looking ahead to this year’s harvest. Carr expects to begin around the end of August or early September with his Sauvignon Blanc and Pinot Noir for sparkling programs.